If you live in the greater Los Angeles area, you may have noticed a certain foul stench polluting the air over the last few days. There have been concerns over the cause, and the damage that it could do. But this week the source was finally pinpointed: the Salton Sea – a saltwater lake located 150 miles southeast of LA. It seems that the lake is on its last legs, and plummeting oxygen levels in its briny waters has led to increased salinity, receding shorelines and a fish pollution that is slowly dying off. It is believed that a recent large thunderstorm, with winds of up to 60 mph, churned up the lake’s bottom, releasing large quantities of “odorous bacteria from the rotting fish population”. That coupled with high winds has carried the stench over Riverside and San Bernardino counties straight into LA’s San Fernando Valley. This completely unexpected event has not only suprised regional air quality officials, but also Andrew Schlange, general manager of the Salton Sea Authority. Luckily for the residents of LA, strong ocean breezes have begun to dissipate the smell – though still, the emergency services did receive more than 200 complaints from the 10,000 square mile region. 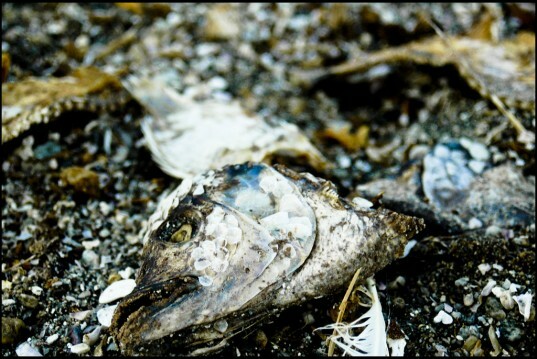 The Salton Sea Authority has a plan to save the sea, but it is expected to cost between $3 billion and $9 billion. This would involve stabilizing the sea level by cutting the body of water in half and allowing part of it to dry up. The dried lake bed would then be able to host extensive geothermal and solar fields that would mitigate the restoration cost and provide power for millions of homes. If you live in the greater Los Angeles area, you may have noticed a certain foul stench polluting the air over the last few days. There have been concerns over the cause, and the damage that it could do. But this week the source was finally pinpointed: the Salton Sea - a saltwater lake located 150 miles southeast of LA.